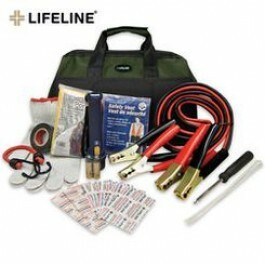 Buy Lifeline Emergency Roadside Kit In Carry Bag , from Budk - RBC VISA for $41.99 only in My e-commerce. Yes you probably have all this around the house, but will you have it with you when you need it most for you or someone you can help. All in a compact carry bag! 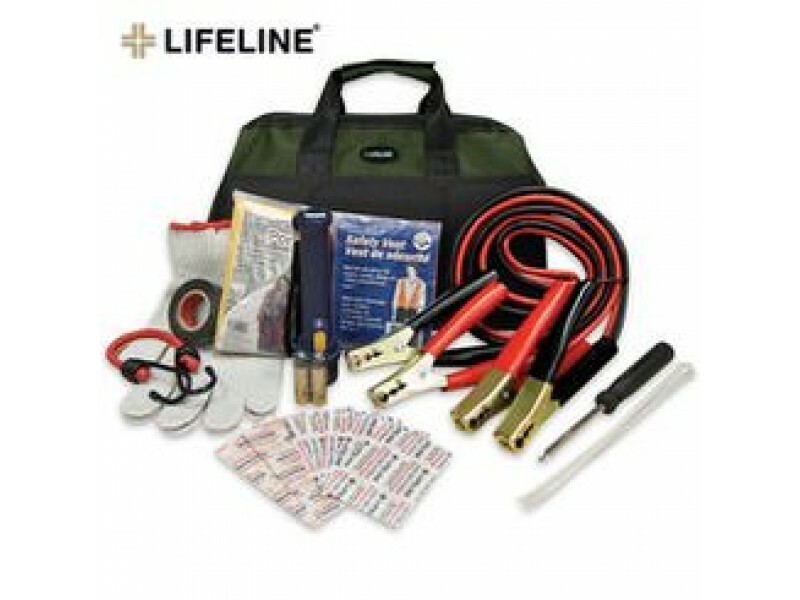 Includes: booster cables, flashlight & batteries, safety vest, pair cotton gloves, 2-in-1 screwdriver, bungee cord, PVC tape, poncho, cable ties, and 20 piece first aid kit.